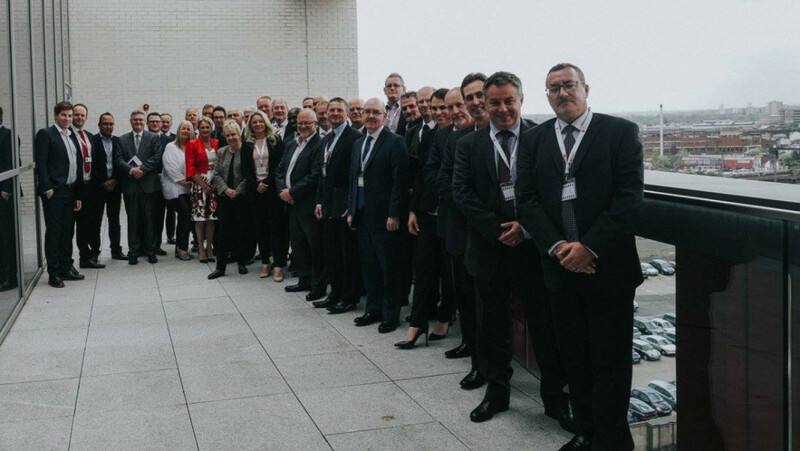 Directors of over 40 Midlands manufacturing and engineering firms met with Lord Mike Whitby and Baroness Lorely Burt at a recent Industrial Strategy workshop, to enable Midlands industry to feed directly into the government's Industrial Strategy. The workshop, entitled 'Our Manifesto For Britain' was led by Lord Mike Whitby in his role as non-executive Chairman of Made in the Midlands and was hosted by Birmingham City University. Attendees were split into five tables, each tasked with brainstorming and presenting ideas around two pillars of the Industrial Strategy green paper. The ideas will then be 'seeded' to every MP, Lord, Baroness and external organisation that will be given public sector funding to manage these projects - as part of a Visual Manifesto. At least one idea from each group was required to be community led, meaning that it could be achieved regardless of government support. Addressing attendees at the end of the workshop, Lord Whitby commented: "The Midlands is a formidable exporting region, with a strong skills base that is ultimately responsible for 25% of the UK's total manufacturing output. What an opportunity we have here, to feed directly into the government's Industrial Strategy and ensure that the best interests of Midlands manufacturers are heard and considered, regardless of what government are responsible for moving this strategy forward. "Joining me today and sharing your ideas marks the start of this happening, and I will ensure that you are kept up to date via Made in the Midlands as to the progress of seeding your ideas directly into government." Lord Whitby was joined in leading the workshop by Baroness Burt, who added: "This has been a fantastic opportunity to hear directly from real business leaders the challenges that you are facing and the real issues that need to be considered as part of the Industrial Strategy. Whilst a lot of discussion has already taken place, there is still room for ideas to be voiced and heard and it is essential that as a region, we make this happen." The event was attended by senior decision-makers from a wide range of Midlands engineering and manufacturing firms. David Rose, Sales and Marketing Manager of interior trim automotive component manufacturers, I M Kelly Automotive concluded: "This was an excellent opportunity for us to share ideas in what is hopefully the start of having our voices heard by government. Lord Whitby displayed a lot of passion and the format stimulated a great discussion today."